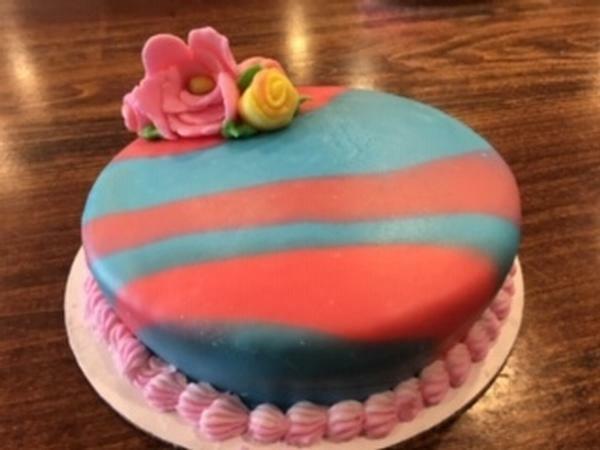 Learn how to create a marble or tie-dye effect on a 7 inch, single layer round cake. Make a classic homemade pretzel as a snack. Cake will go home in a bakery box.